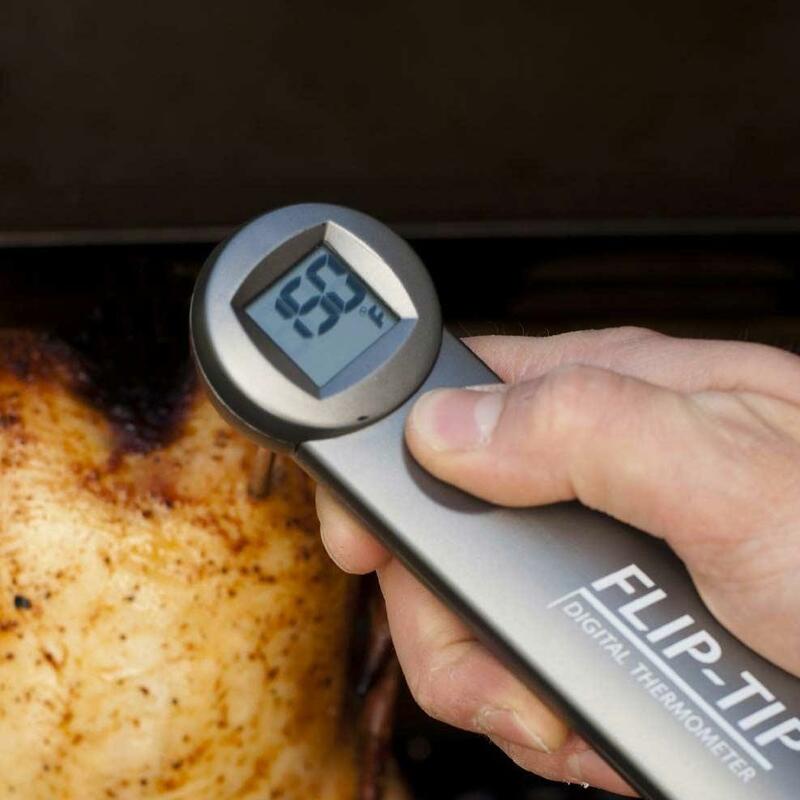 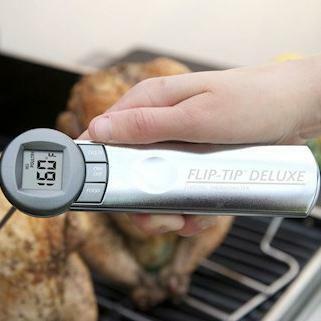 Product Description: Flip-Tip Deluxe Digital BBQ Thermometer. 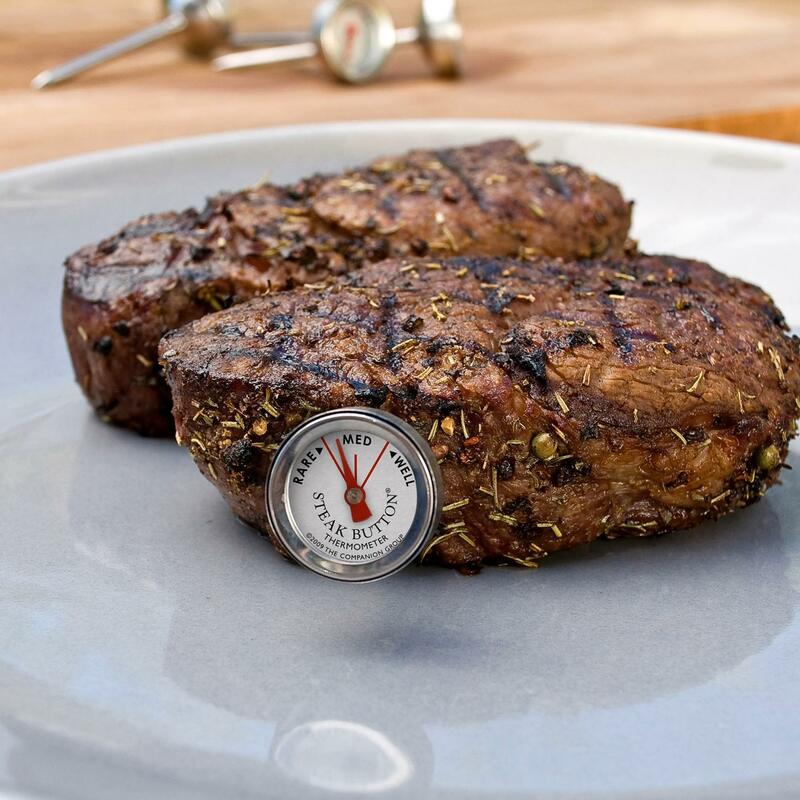 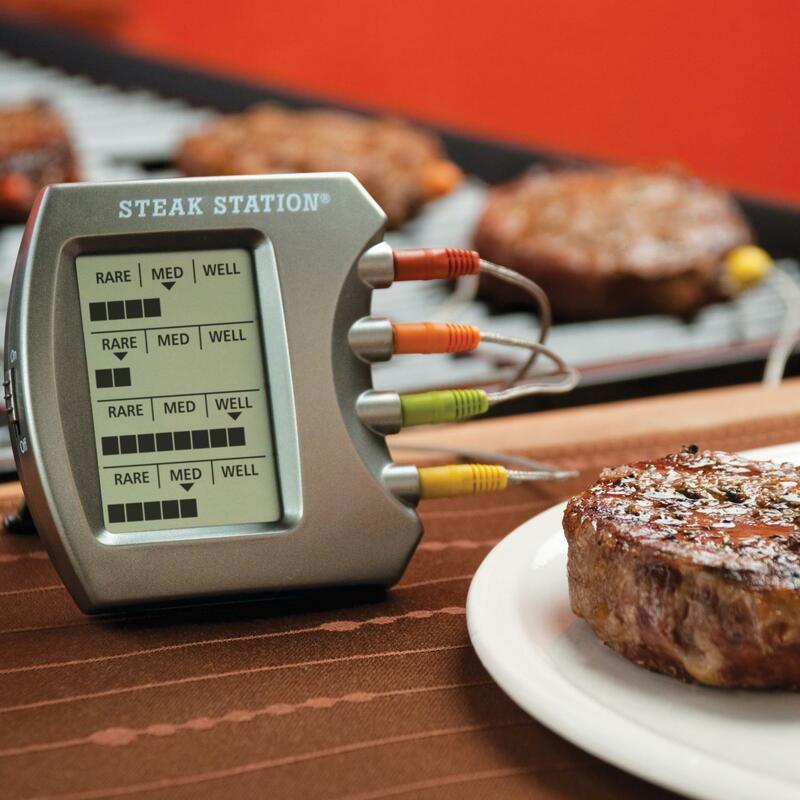 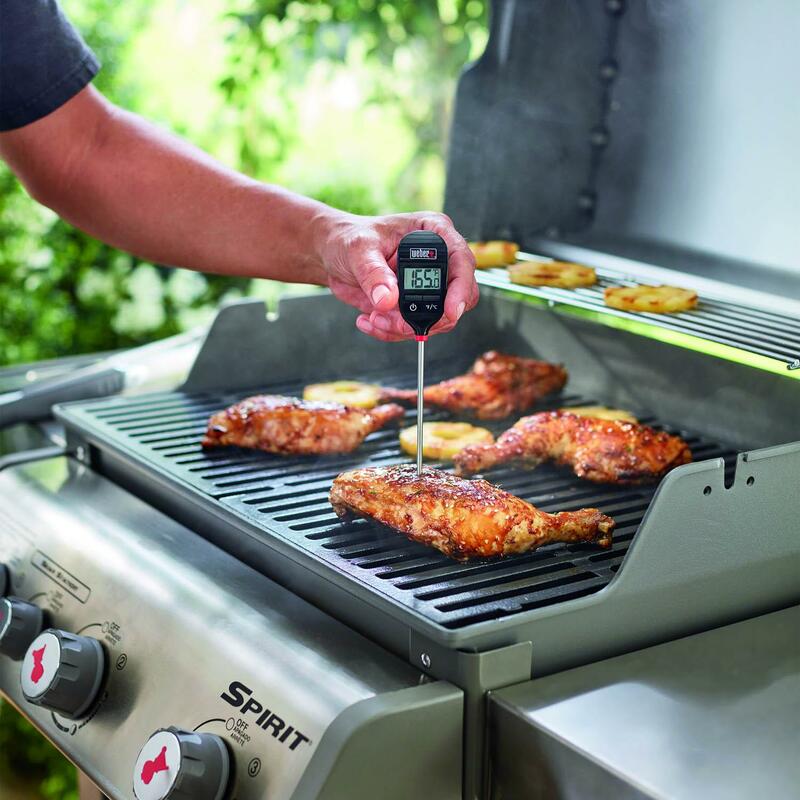 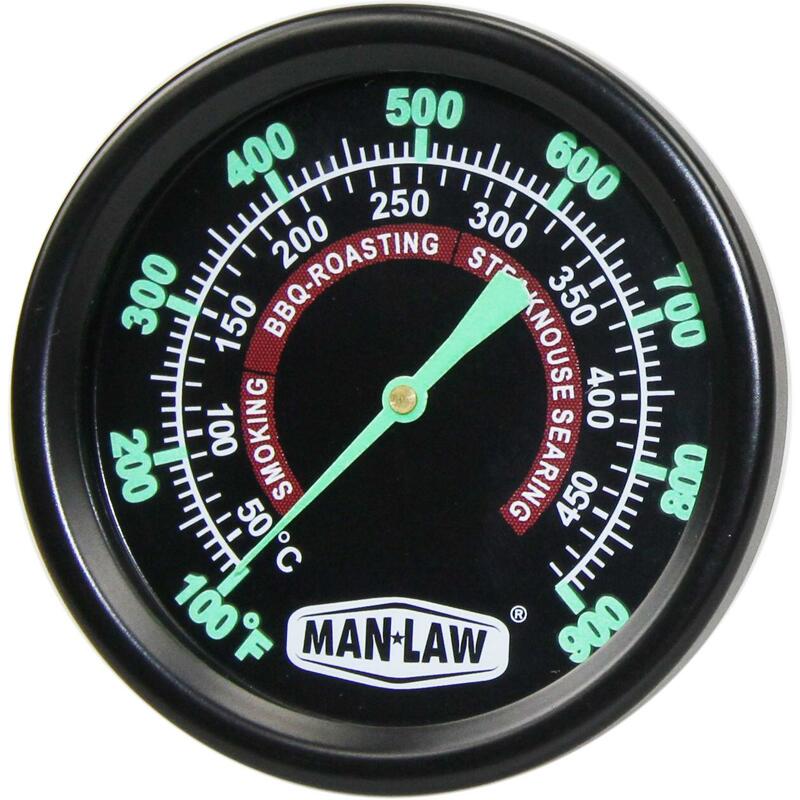 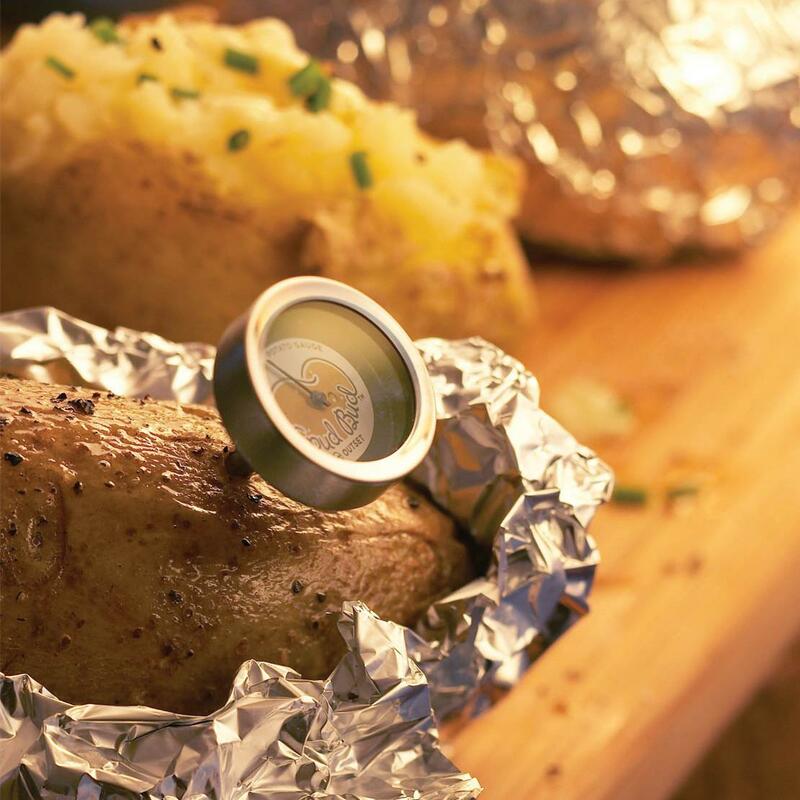 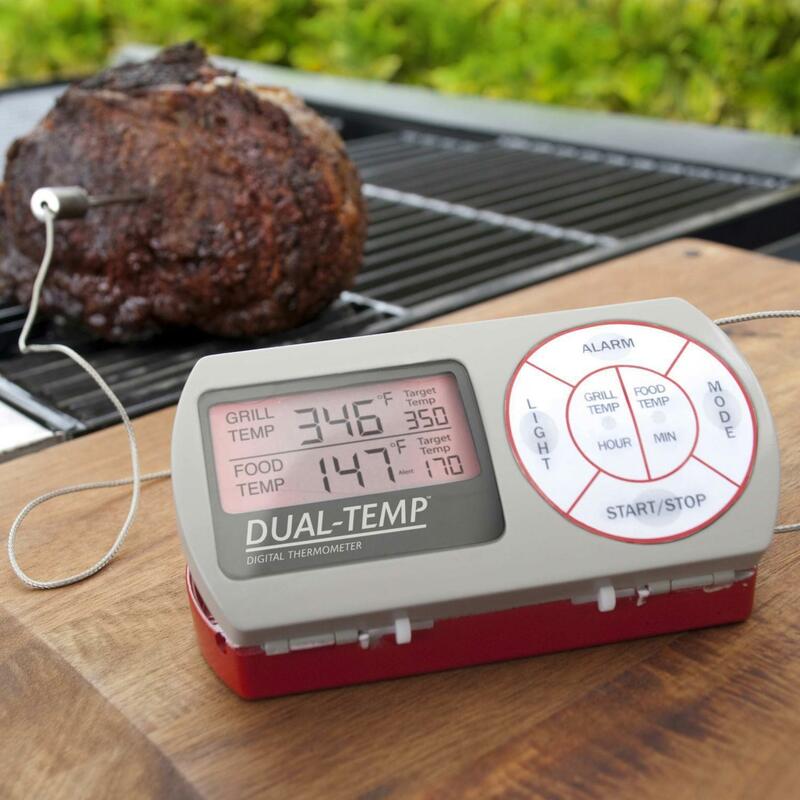 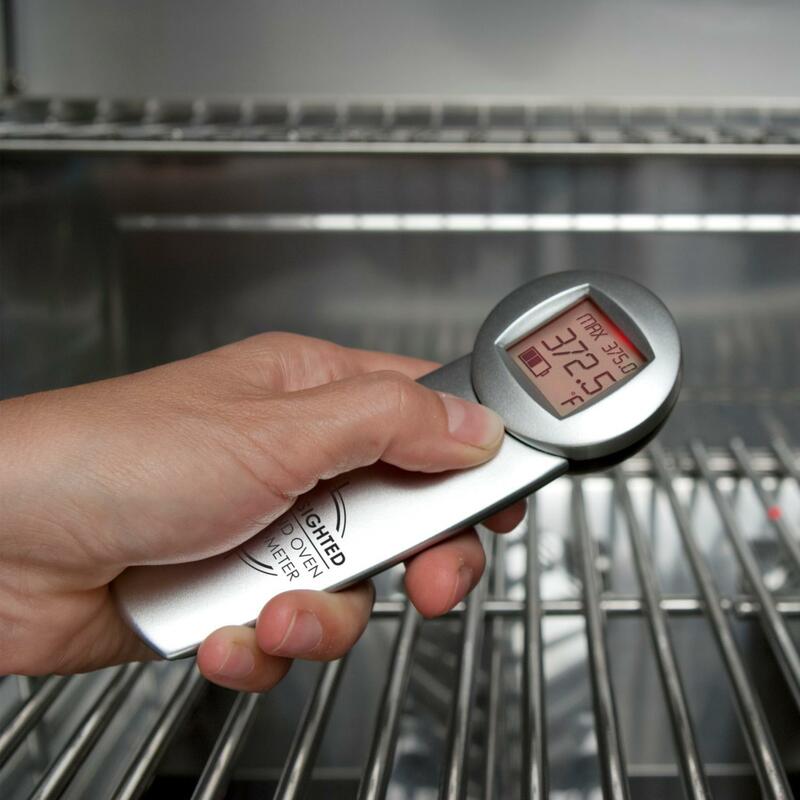 Take the guesswork out of grilling with this accurate BBQ thermometer! 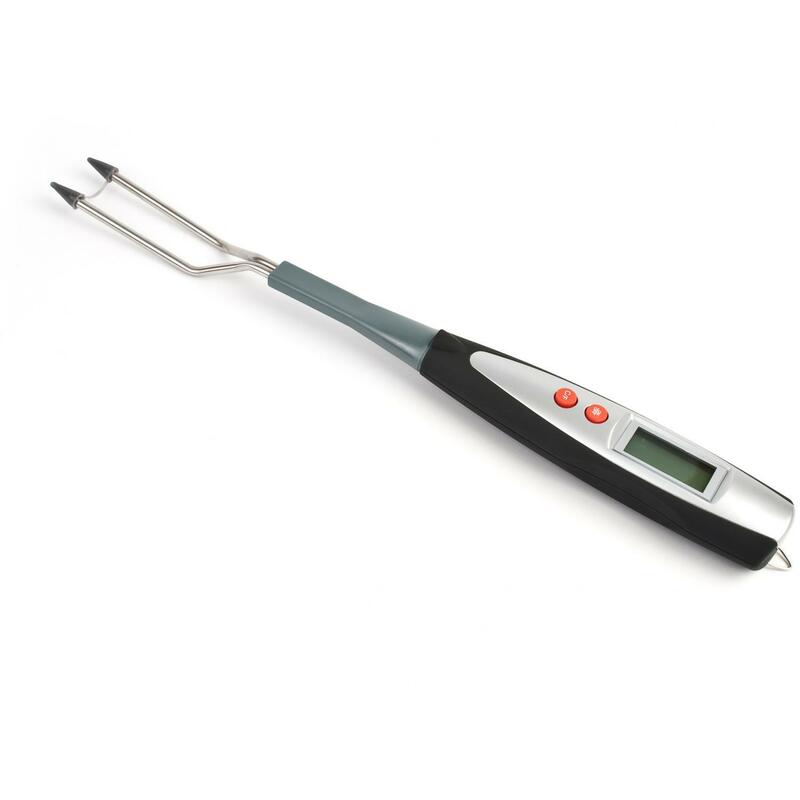 The extra long food probe locks into multiple angles for easy placement and the large digital display is easy to read. 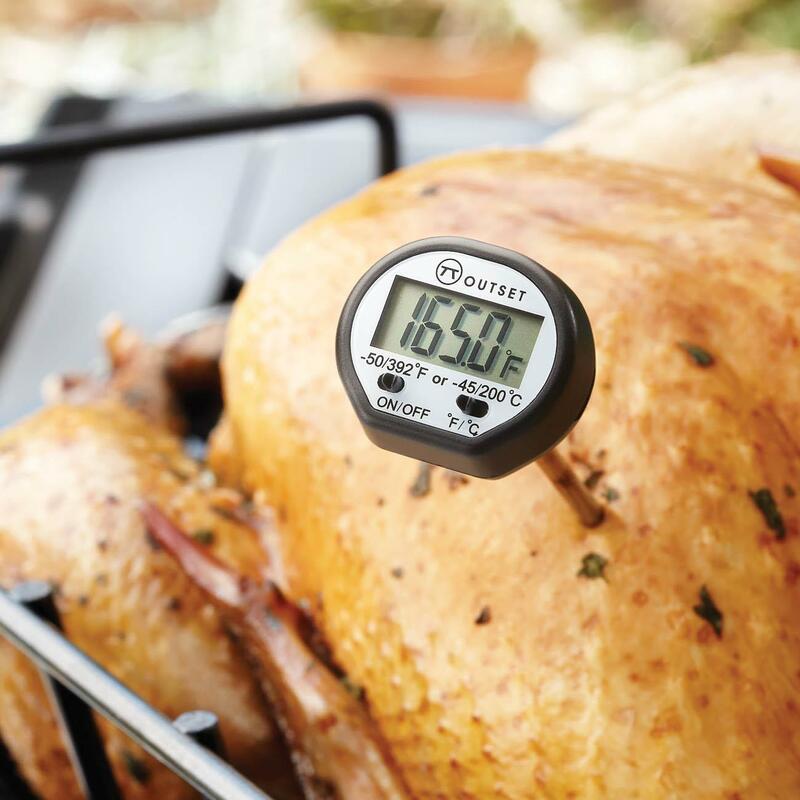 This thermometer reads internal temperatures in 6 seconds, so you can spend more time relaxing while your food cooks. 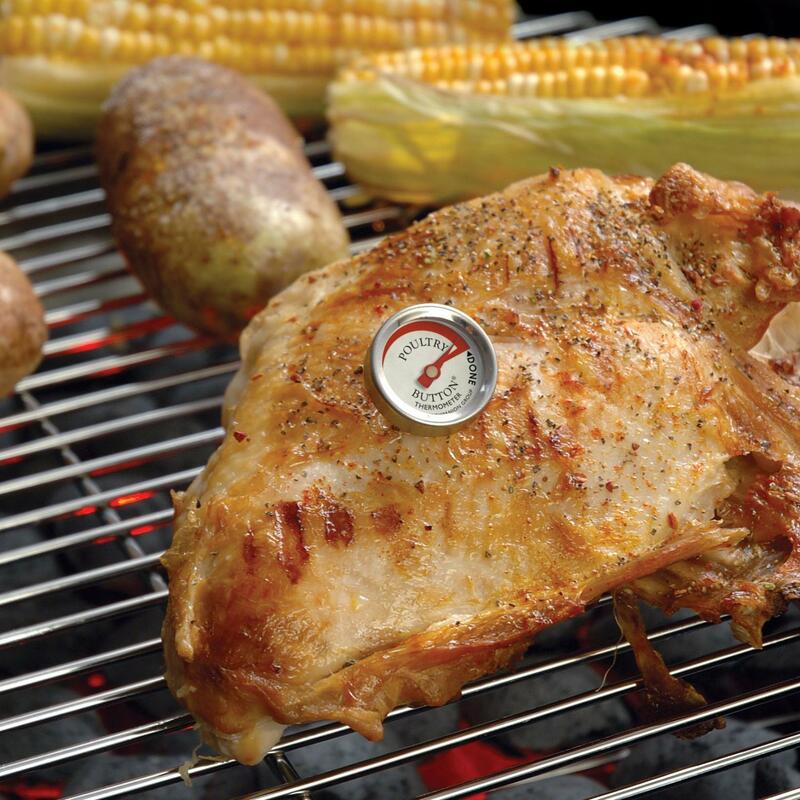 The buttons on the thermometer help you target perfect food temperature. 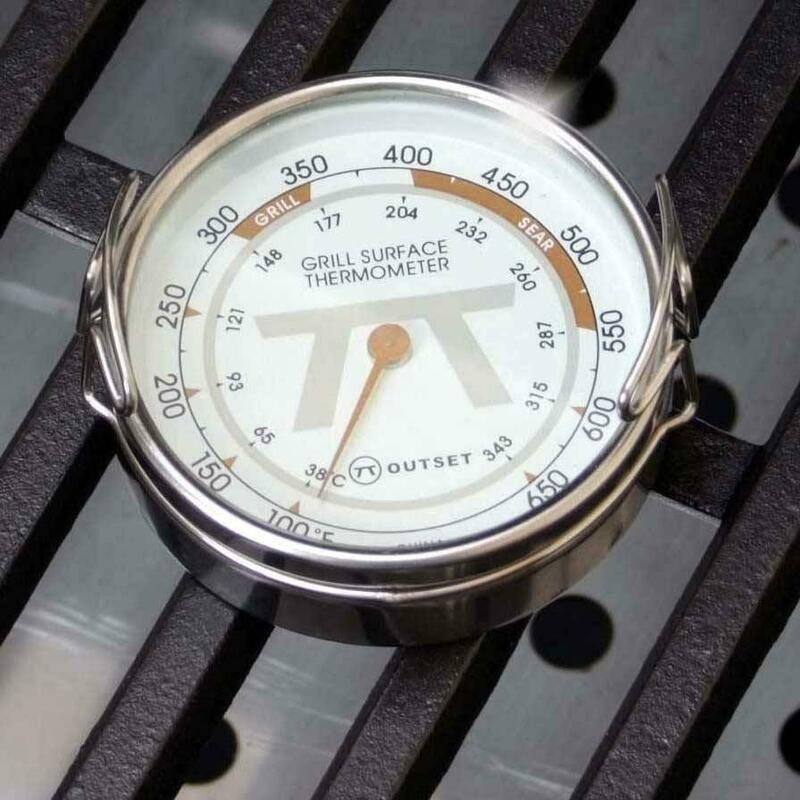 The CC4082 can read temperatures from -58 to 572 degrees Fahrenheit. 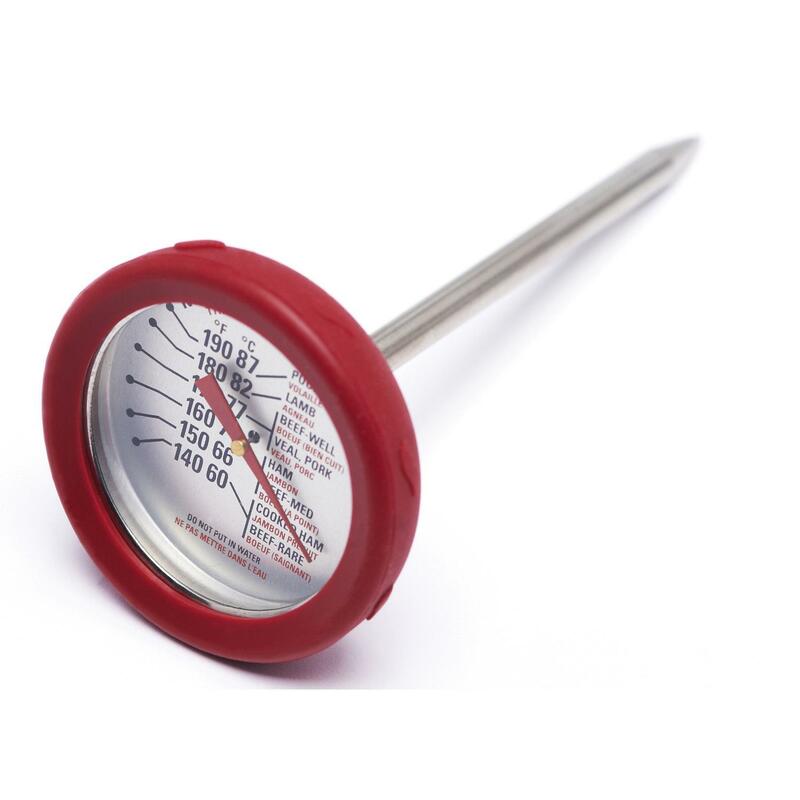 The unit requires 2 AAA batteries, which are not included.